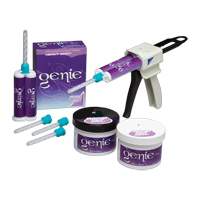 The Dispensing Gun fits 50 ml automix cartridge of Correct Plus or TempSpan impression materials with a 1:1 mixing ratio. The white intraoral tips are used with pink mixing tips to dispense Correct Plus and other impression materials directly into the mouth for dental restorations such as crowns and bridges. 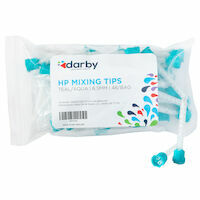 HP Mixing Tips, I.O. 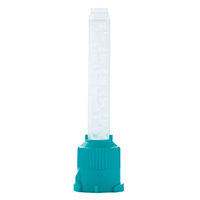 Tips and Gun Mixing Tips, 6.5 mm, Aqua, 48/Pkg. iMix Static/Dynamic Mixer Red, 50/Pkg.